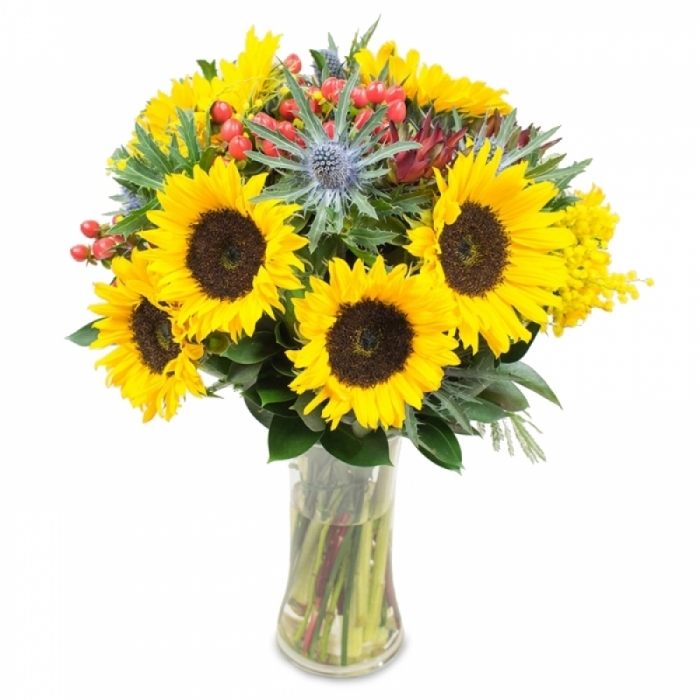 There are no flowers that can instantly brighten up the mood better than the warm and cheery sunflowers. With their sun-like appearance, these flowers always make a wonderful addition to floral arrangements no matter what the occasion is. From birthday parties to wedding ceremonies, sunflowers can certainly steal the show and enhance the beauty of the event. An interesting fact about the sunflowers is that they actually got their name because they tend to turn towards the sun and follow its direction throughout the day. 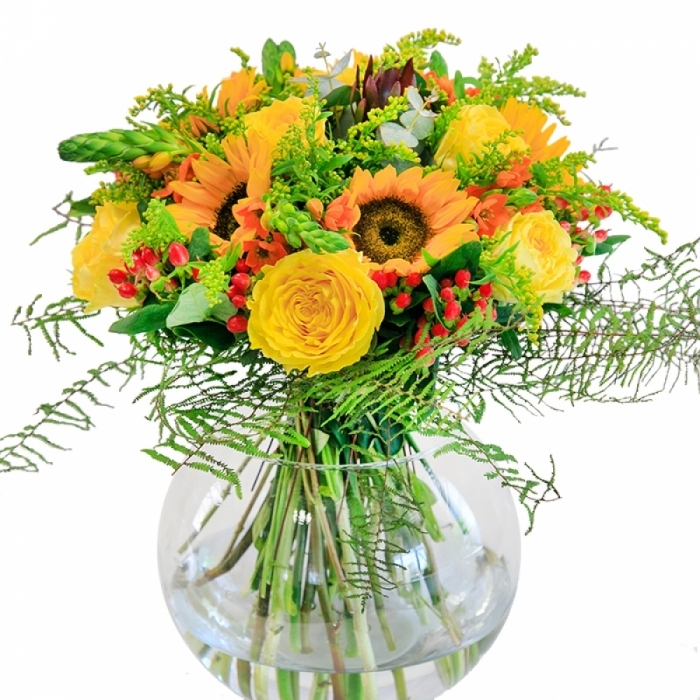 Known as the "happy flowers", sunflowers symbolize joy, vitality, adoration and good luck. The yellow colour is considered to be the colour of friendship. 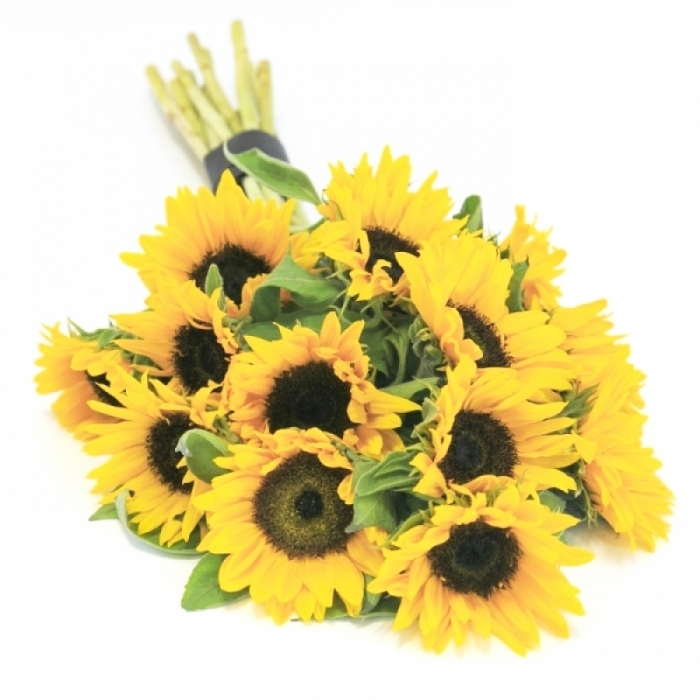 That is why a lovely bouquet of sunflowers make a great expression of love and appreciation to your closest friends. • In Mexico, the sunflowers were considered to have healing properties and to be extremely effective for soothing chest pain. • Sunflower oil contains lots of minerals such as iron, calcium and vitamins as well. • Sunflower is the state flower of Kansas as well as the national flower of Ukraine. 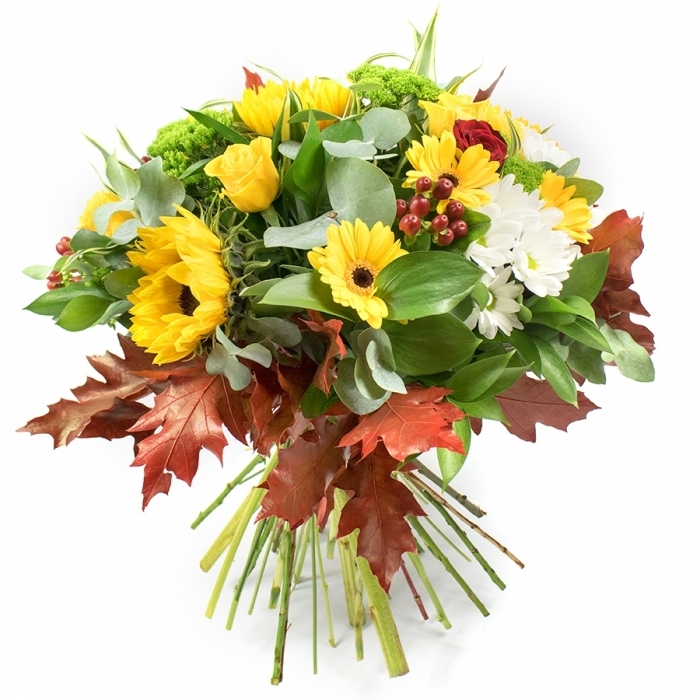 A heartwarming bouquet made of sunflowers is the ultimate gift of love that everyone will enjoy! Its rich symbolism and cheerful appearance is guaranteed to bring a smile and add to the festive atmosphere of any special event. Either displayed on their own or combined with other colourful flowers such as roses, gerberas or chrysanthemums, sunflowers will instantly turn your home into a brighter and more welcoming place. When arranging the flowers at home, you can use sunflowers as a centerpiece and then add smaller flowers such as daisies arround to create a bountiful bouquet. Use a tall vase to make the bouquet look even more impressive. For a day as special as the wedding day, brides all over the world chose to bring some more inspiring beauty and cheery sunshine to their wedding using sunflowers in the floral arrangements. Symbolizing loyalty and admiration, these beautiful flowers add to the feeling of true love that is in the air. Wedding arrangements featuring sunflowers create an unique setting for a day filled with happy tears and wonderful memories!